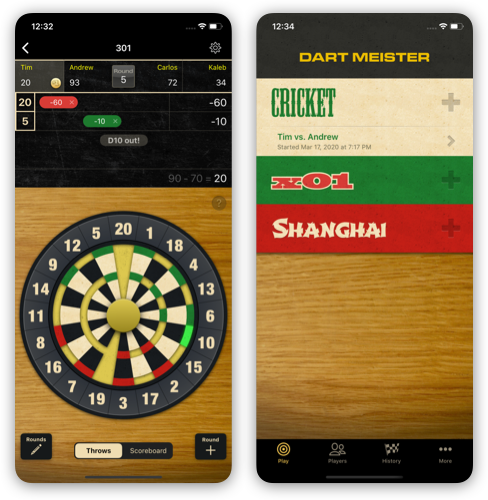 The darts scoring app for iOS. Dart Meister only allows valid throws to be entered. Not only does this help beginners learn the game (and yes, game rules are also provided), but it helps prevent errors. But if you do make a mistake, simply tap on a throw to remove it (much easier than the unwieldy undo system in other apps). This even works for past rounds in the history view! No other dart scorer can do this.